"The speed of AWS helps make us the fastest data provider in the ecosystem—at least 50 milliseconds faster than our competitors." Founded in 1990 as a joint Swiss-Turkish venture, Foreks provides market data to customers in the financial services industry across Turkey and Greece. These customers include corporate clients—such as banks, brokers, foreign exchanges, and other financial institutions—and individual investors. Customers trust Foreks to provide fast, accurate, and comprehensive information in a format that helps them to make timely trades. Until five years ago, Foreks hosted its applications and infrastructure on bare-metal servers in local collocated data centers. This worked well, but the advent of new delivery models—driven by the cloud—prompted Foreks to look at ways to provide a faster service to customers and handle extreme fluctuations in traffic. As of summer 2018, Foreks is all-in on AWS, running more than 95 percent of their infrastructure on AWS. This move has not been a lift and shift of the company’s old applications; it’s formed part of a cultural transition to more agile development practices. Now, a DevOps team helps development teams build and deploy applications that are optimized for the cloud by advising on architectures, what AWS services to use, how to keep uptime high, and how to reduce cost. Foreks uses more than 40 AWS services to reduce its infrastructure maintenance burden as much as possible. For example, many services run without permanent Amazon Elastic Compute Cloud (Amazon EC2), instead using AWS Lambda or AWS Batch, with data stored in NoSQL Amazon DynamoDB tables or Amazon Simple Storage Service (Amazon S3). For services that require a host instance, Foreks uses about 600 Docker containers, orchestrated with Kubernetes, and automatically deployed onto Amazon EC2 instances. Coşkuncan is also excited to use the new Amazon Elastic Container Service for Kubernetes (Amazon EKS), which will take more management off the team’s hands. Two prominent benefits of migration to the cloud are faster time to deploy and less infrastructure to manage. Coşkuncan’s team has automated processes so that developers can self-deploy code. In the company’s legacy physical environment, deployments can take weeks—even months—as code is passed back and forth between Ops and Dev teams, servers are configured, and requirements are ironed out. In the AWS Cloud, it takes minutes. With the drive toward serverless infrastructure, Foreks has been able to do away with many permanent instances. 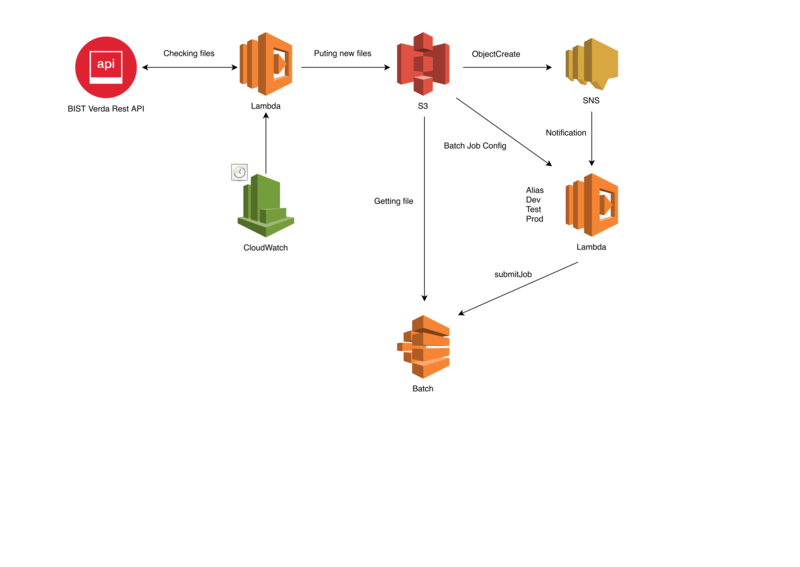 For example, one of its services used to use an Amazon EC2 instance to check for files coming from a data provider, process them, and send the output to another service that connects to clients. Today, it uses a combination of AWS Lambda, AWS Batch, Amazon S3, and Amazon Simple Notification Service (SNS) to perform the same process—only coming online when code needs to be executed. “Moving this service to a serverless architecture on AWS saved us 70 to 75 percent compared to using Amazon EC2,” says Murad Ozsert, software development team lead at Foreks. In addition, Foreks no longer has racks of physical servers sitting idle during quiet periods. It used to need 30 servers for peak traffic to its mobile services but only two for baseline traffic. Now, it can terminate instances or shut down entire compute environments in AWS and use the money saved for innovation. Learn more about how AWS can help you manage your website or web app.